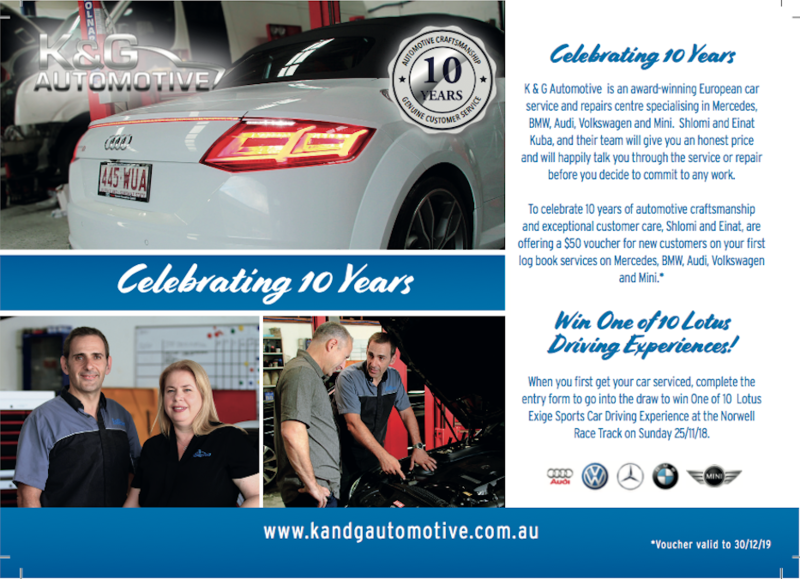 In celebration of 10 years in business, Shlomi, Einat and the team are offering a $50 voucher off your first (or next) full log book service on your Mercedes, BMW, Audi, Volkswagen or Mini (the voucher is valid until June 30 2019). Firstly, book your car in for a full log book service at K & G Automotive Services. Take a printed copy of this webpage in with you when you take your car in for the service. 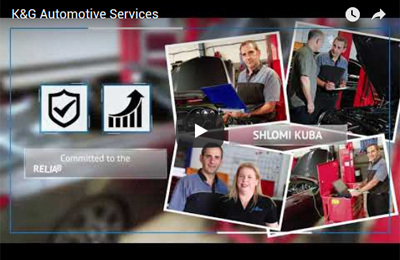 Talk to one of our mechanics today on (07) 3341 2008 to book your car in for the service. Or email us here. Automotive excellence with genuine customer service. *Note: ‘Win One of 10 Lotus Driving Experiences’ competition has ended.